Il 17 Gennaio 1869 nasceva una stella destinata ad illuminare il firmamento del purosangue, fino alla nostra epoca. 150 anni fa nasceva Federico Tesio, il "Leonardo Da Vinci" dell'allevamento del purosangue, riconosciuto all'unanimità come uno dei più grandi ed influenti menti applicate alla scienza del purosangue, e non solo. Intuizione, grande visione, tocco magico. In suo onore tantissime testimonianze, tra cui quella di Lord Rosebery che, nel suo discorso di addio al Thoroughbred Breeders Association in Newmarket, nel Luglio del 1964, parlando di Federico Tesio, disse: “Nessuno, in questo secolo, ha influenzato più di lui, e Lord Derby, l’allevamento del purosangue". In realtà questo è stato solo uno dei tanti attestati di stima di un personaggio illuminato che merita di essere ricordato. Tra le sue creazioni più grandi certamente Nearco, dal quale discendono tutt'oggi il 90% del purosangue moderno, e l'immenso Ribot che però Tesio non vide mai correre. Il Senatore è stato omaggiato Tony Morris e dal Racing Post che questa mattina hanno pubblicato un articolo in suo onore. Ve lo giriamo, augurandoVi buona lettura, anche se in inglese. Più sotto il testo tradotto. Born in Turin 150 years ago on Thursday, Federico Tesio still ranks as the greatest all-round horseman in the history of thoroughbred racing and breeding. 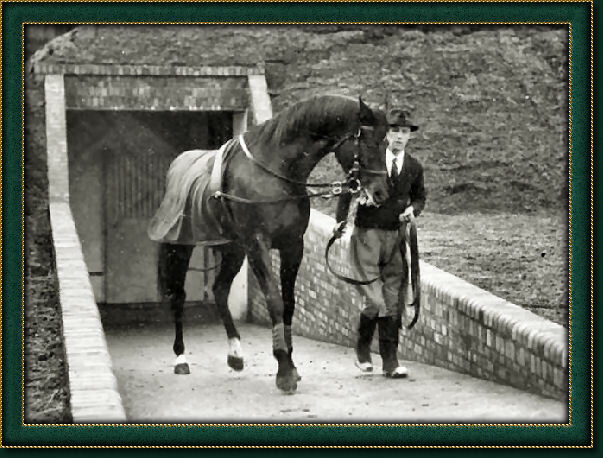 The 'Wizard of Dormello', as he came to be known, founded his stud on the site of a former silkworm farm in 1898. That property, on the banks of Lake Maggiore in northern Italy, became the base for a breeding operation that dominated the national scene for well over half a century, and for much of that time was recognised as one of the foremost studs in the whole of Europe. Tesio was contemporary with other great breeders, such as Marcel Boussac in France and the 17th Earl of Derby and HH Aga Khan III in England, but while those titans had the benefit of gifted advisers and professional horsemen to aid them, the Italian achieved all his successes as a one-man band. He employed no agents, no advisers, no managers. He, and he alone, selected the fillies and mares for his stud, and he devised every mating for them. He made all his own decisions, from first to last, as he was also his own trainer. He mastered every aspect of the business, his phenomenal results attained by dint of unparalleled judgement, expertise and flair. Tesio recognised early that he would need to acquire stock from sales in England if he was to establish a successful operation in Italy, and he became a frequent visitor to Tattersalls, collecting fillies and mares, often at knockdown prices, for the paddocks at Dormello. On his trip to the December Sales in 1905 he dug quite deep to lay out 600gns for the ten-year-old American-bred mare Jiffy, a former winner of the Ebor Handicap. The mare was carrying a Bay Ronald filly, Fidia, who would supply her breeder-owner-trainer with his first prestige triumph, notching a win in the 1909 Gran Premio di Milano, Italy’s most important open-age event. The first ten of those Derby wins came in the 13 seasons up to 1923, by which time Tesio decided that he must test his stock in more demanding environments. He took Scopas to Germany for a victory in the 1924 Grosser Preis von Baden, and in the following year Apelle notched a win in the Criterium de Maisons-Laffitte. In 1926 he went back to France with Apelle and Cranach for the Grand Prix de Paris, then regarded as Europe’s foremost international contest for three-year-olds. The pair finished unplaced, but the main objective of the trip, to get one or both of them sold, was realised. Apelle found a buyer, and the funds he brought in helped to ensure that Tesio could maintain his dominance in Italy. But with his sights set on long-term top-level international competition, Tesio realised that he would have to patronise Europe’s best stallions, most of whom were based in England and France. And that would inevitably be a costly exercise. Seven of his Derby winners had been by the leading Italian sire Signorino, and Havresac, another home-based horse, would deliver him champions in Cavaliere D’Arpino and Nogara, but his preference was for foreign sires when he could afford it. What Tesio could afford changed significantly in the early 1930s, when he entered into partnership with the Marchese Mario Incisa della Rocchetta. His runners thereafter appeared on racecards as the property of Tesio-Incisa, and the stud book followed suit over the registration of his foals. Needless to say, Incisa’s role was just to provide funds. He played no part in the making of any decisions about the horses of whom he was half-owner. But he recognised that when in partnership with a genius, it would be folly to query his actions. His investment delivered him a share in a lot of glory, if not actual financial profit, and the association ended only on Tesio’s death in 1954. The first great successes for the partnership came from Donatello, whose Epsom Classic-winning sire Blenheim had become affordable under the new arrangement. Donatello won all his starts in Italy, including the Derby, the Gran Premio di Milano and the Gran Premio d’Italia, and but for a poor ride would have retained his unbeaten record in the Grand Prix de Paris. However, the Longchamp performance was sufficiently impressive to attract a lucrative offer, and Tesio was happy to let the colt go. He had bought Donatello’s grand-dam, Duccia di Buoninsegna, as a yearling in England for only 210gns, she had bred him two dual Classic winners, one of whom had now delivered him a champion – and Edward Esmond’s cheque for £47,500. Donatello proceeded to make a significant mark as a sire in England, his progeny including two outstanding performers in Alycidon and Crepello, and they in turn found success as champion sires. Nearco was born a year after Donatello, and there were marked similarities over their careers. Both were dominant performers, unbeaten in Italy, but Nearco went one better than his former stable companion by retaining his undefeated record in the Grand Prix de Paris, his victims including the winners of the Epsom (Bois Roussel) and Chantilly (Cillas) Derbys. Tesio had bought Nearco’s grand-dam Catnip at the 1915 December Sales in Newmarket for only 75gns, and she had bred him Nogara, who won both Italian mile Classics in 1931. Her breeder’s intended mating for her in 1934 was with Fairway, but he could not obtain a nomination and had to settle instead for Fairway’s brother Pharos. Nearco may not have been the foal Tesio wanted, but the re-routing of Nogara to Pharos had enormous consequences, for the breed as well as for the breeder. 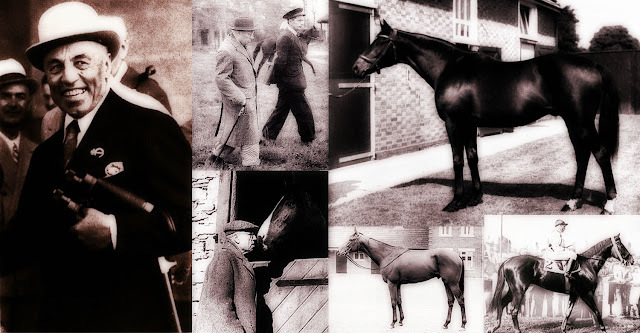 Within days of the colt’s victory at Longchamp, Tesio sold him for £60,000 to Martin Benson, and as events unfolded over the years that followed, it became clear that Nearco was the most important horse imported to England since the Godolphin Arabian. Branches of Nearco’s sire line through Nasrullah and Nearctic continue to thrive famously 80 years after that epoch-making deal. Tesio was never a conventional breeder, but he was consistent in his practice. He did not believe that families thrived in perpetuity, and when they had evidently peaked, he lost interest in them. 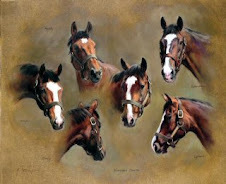 Nearco had a long, highly successful career at stud in Newmarket, but his breeder could not care less. He only ever used the horse once, sending him a mare with a dodgy foaling record, and she duly proved barren. The assertion does not bear close scrutiny, and would never have been granted credibility if it had not been made by such an eminent breeder. Tesio always liked to use Derby winners on his mares, but they were rarely major contributors to the success of his breeding programme. In some respects he seemed an eccentric, his keen patronage of Airborne an obvious example. Sometimes conventional breeders knew better. World War II limited Tesio’s access to many major stallions and forced him to use some of his own horses, which he ordinarily would not have done. But one of them, Bellini – his 15th Derby victor – was responsible for Tenerani, a Triple Crown winner at home who made visits to England for victories in the 1948 Queen Elizabeth Stakes and Goodwood Cup. Tenerani was no oil painting, but he was a powerful galloper who excelled over long distances. He stood at Dormello for three seasons, but Tesio then sent him on lease to England’s National Stud, and when that operation offered £20,000 to buy him outright a deal was swiftly concluded. Tenerani was too plain and too much of a stayer to impress Tesio as a likely major sire, so he would not use him on any of his most distinguished mares. But he did send him Romanella, who had been a speedy two-year-old and had failed to train on, and that mating resulted in Ribot, who would come to be regarded as Tesio’s masterpiece. Tesio’s assessment of Tenerani’s stud prospects turned out to be accurate; his innings as a sire delivered only one consequential outcome. But that solitary star was Ribot, whose three-season career produced 16 wins from as many starts, including the King George VI & Queen Elizabeth Stakes and two editions of the Prix de l’Arc de Triomphe. Entries for the Italian Classics had to be made at the yearling stage, when Ribot seemed small and insignificant, so Tesio opted not to nominate him. The maestro reportedly saw more promise in the colt in his early training at two, but he died, aged 85, when Ribot’s debut was still two months in the future. Missing Italy’s classics hardly mattered to Ribot, whose sky-high reputation rested on his Ascot and Longchamp displays, the second Arc, in 1956, impressing many observers as one of the performances of the century. Tesio evidently went to his grave still believing that Ribot’s great-grandsire Cavaliere d’Arpino – also unbeaten, but sadly unsound – had been the best horse he had bred. He would surely have changed his mind, had he lived to see Ribot in his pomp at Longchamp. And if past form was anything to go by, he would have recognised a line that had peaked and was thus of no further interest to him. Ribot became an important sire on both sides of the Atlantic and headed the Anglo/Irish list on three occasions. 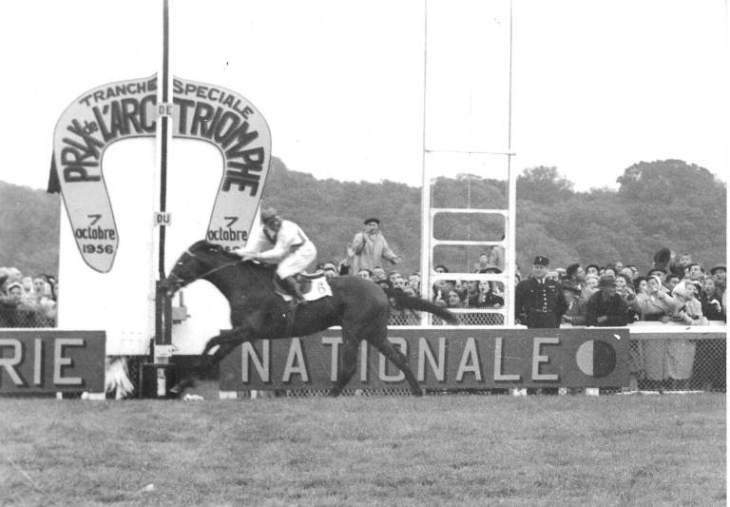 His male line has faded since his great-grandson Alleged emulated him with a pair of Arc victories in the late 1970s, but he remains a factor in many pedigrees without featuring to the degree established by the ubiquitous Nearco. Tesio wrote books about his half-century as a breeder, and numerous publications have dealt in depth with his extraordinary achievements, but it is no easy matter to explain the secrets of his success beyond the observation that he was supremely gifted in every aspect of the art. Brigadier Gerard’s breeder, John Hislop, put things neatly: “When those of my generation come to be asked by their grandchildren ‘Who was the greatest breeder, the outstanding sire, the best racehorse of your time?’ the answer will probably be ‘Tesio, Nearco, Ribot”. Nato a Torino 150 anni fa, Federico Tesio è ancora considerato il più grande uomo di cavalli a tutto tondo nella storia delle corse e dell'allevamento del purosangue. Il "Mago del Dormello", come venne conosciuto, fondò il suo stud sul sito di un ex allevamento di bachi da seta nel 1898. Quella proprietà, sulle rive del Lago Maggiore, nel nord Italia, divenne la base per un'operazione di allevamento che ha dominato la scena nazionale per oltre mezzo secolo, e per gran parte di quel tempo è stata riconosciuta come uno dei primi studs dell'intera Europa. Tesio era contemporaneo con altri grandi allevatori, come Marcel Boussac in Francia e il 17 ° conte di Derby e HH Aga Khan III in Inghilterra, ma mentre quei titani avevano il beneficio di consulenti dotati e cavalieri professionisti per aiutarli, l'italiano realizzò tutto il suo successi come one-man. Non ha mai impiegato agenti, nessun consulente, nessun manager. Lui, e solo lui, ha selezionato le puledre e le fattrici per il suo stallone, e ha inventato ogni accoppiamento per loro. Ha preso tutte le sue decisioni, dalla prima all'ultima, poiché era anche il loro allenatore. Ha dominato ogni aspetto del business, i suoi risultati fenomenali raggiunti a forza di giudizio senza precedenti, competenza e talento. Tesio riconobbe presto che avrebbe avuto bisogno di acquistare degli stock dalle vendite in Inghilterra, se avesse stabilito un'operazione di successo in Italia, e divenne un frequentatore abituale di Tattersalls, raccogliendo puledre e fattrici, spesso a prezzi stracciati, per i paddock di Dormello. Nel suo viaggio alle vendite di dicembre del 1905, scavò abbastanza in profondità per stendere 600 ghinee per la cavalla americana di dieci anni Jiffy, ex vincitrice dell’Ebor Handicap. La cavalla era gravida di una puledra da Bay Ronald, Fidia, che avrebbe fornito al suo allevatore-allevatore-proprietario il suo primo trionfo di prestigio, facendo segnare una vittoria nel Gran Premio di Milano del 1909, l'evento più importante d'Italia in quel momento. Le prime dieci di quelle vittorie di Derby arrivarono nelle 13 stagioni fino al 1923, quando Tesio decise che doveva testare le sue azioni in ambienti più difficili. Portò Scopas in Germania per una vittoria nel 1924 Grosser Preis von Baden, e l'anno seguente Apelle segnò una vittoria nel Criterium de Maisons-Laffitte. Nel 1926 tornò in Francia con Apelle e Cranach per il Grand Prix de Paris, poi considerato il più importante concorso europeo per cavalli di tre anni. La coppia finì non piazzata, ma l'obiettivo principale del viaggio, ottenere uno o entrambi venduti, fu realizzato. Apelle ha trovato un acquirente, e i fondi che ha portato hanno contribuito a garantire che Tesio potesse mantenere il suo dominio in Italia. Ma con gli occhi puntati su una competizione internazionale di alto livello a lungo termine, Tesio si rese conto che avrebbe dovuto proteggere i migliori stalloni d'Europa, molti dei quali erano basati in Inghilterra e Francia. E questo sarebbe inevitabilmente un esercizio costoso. Sette dei suoi vincitori di Derby erano stati dal principale padre italiano Signorino, e Havresac, un altro cavallo di casa, gli avrebbe consegnato campioni in Cavaliere D'Arpino e Nogara, ma la sua preferenza era per gli stalloni stranieri quando poteva permetterselo. Ciò che Tesio poteva permettersi cambiò significativamente nei primi anni '30, quando entrò in società con il marchese Mario Incisa della Rocchetta. I suoi corridori apparvero in seguito sugli ippodromi come proprietà di Tesio-Incisa, e il libro genealogico seguì l'esempio della registrazione dei suoi puledri. Inutile dire che il ruolo di Incisa era solo quello di fornire fondi. Non ha avuto alcun ruolo nel prendere decisioni in merito ai cavalli di cui era proprietario per metà. Ma ha riconosciuto che, in collaborazione con un genio, sarebbe stata una follia interrogare le sue azioni. Il suo investimento lo portò a partecipare a molta gloria, se non a profitti finanziari reali, e l'associazione finì solo con la morte di Tesio nel 1954. I primi grandi successi per la partnership sono arrivati ​​da Donatello, il cui vincitore di Epsom Classic, il blues Blenheim, era diventato accessibile sotto il nuovo accordo. Donatello ha vinto tutte le sue partenze in Italia, tra cui il Derby, il Gran Premio di Milano e il Gran Premio d'Italia, ma per un pessimo passaggio avrebbe mantenuto il suo record di imbattibilità nel Gran Premio di Parigi. Tuttavia, la prestazione di Longchamp è stata sufficientemente impressionante da attirare un'offerta lucrosa e Tesio è stato felice di lasciare andare il puledro. Aveva comprato la mamma di Donatello, Duccia di Buoninsegna, come un yearling in Inghilterra per soli 210 gns, lei gli aveva procurato due vincitori del doppio classico, uno dei quali gli aveva consegnato un campione - e l'assegno di Edward Esmond per £ 47.500. Donatello ha fatto un segno significativo come stallone in Inghilterra, la sua progenie comprendeva due interpreti eccezionali in Alycidon e Crepello, e a loro volta hanno trovato il successo come campioni. Nearco nacque un anno dopo Donatello e vi furono marcate somiglianze sulla loro carriera. Entrambi erano interpreti dominanti, imbattuti in Italia, ma Nearco è andato meglio del suo ex compagno stabile mantenendo il suo record imbattuto nel Grand Prix de Paris, le sue vittime tra cui i vincitori dei Derby di Epsom (Bois Roussel) e Chantilly (Cillas). Tesio aveva acquistato la seconda mamma di Nearco Catnip alle aste del 1915 dicembre a Newmarket per soli 75 gns, e lei lo aveva allevato Nogara, che vinse entrambi i classici italiani nel 1931. Il suo compagno di matrimonio per lei nel 1934 era con Fairway, ma poteva non ottenere una nomination e dovette accontentarsi del fratello di Fairway, Pharos. Nearco potrebbe non essere il puledro voluto da Tesio, ma il reinstradamento di Nogara a Pharos ha avuto conseguenze enormi, sia per la razza che per l'allevatore. A pochi giorni dalla vittoria del puledro a Longchamp, Tesio lo vendette per £ 60.000 a Martin Benson e, man mano che gli eventi si succedevano negli anni seguenti, divenne chiaro che Nearco era il cavallo più importante importato in Inghilterra dal Godolphin Arabian. I rami della stirpe di Nearco attraverso Nasrullah e Nearctic continuano a prosperare famosi 80 anni dopo quell'affare epocale. Tesio non era mai un allevatore convenzionale, ma era coerente nella sua pratica. Non credeva che le famiglie prosperassero per sempre, e quando avevano evidentemente raggiunto il picco, perse interesse per loro. Nearco ha avuto una lunga carriera di grande successo nello stud di Newmarket, ma al suo allevatore non gliene fregava di meno. Ha sempre usato il cavallo solo una volta, mandandogli una cavalla con un record di stalloni poco raccomandabile, e lei ha debitamente dimostrato sterile. Il nome di Tesio suona una campana per molti per la sua citazione più famosa: "Il purosangue esiste perché la sua selezione è dipesa non da esperti, tecnici o zoologi, ma da un pezzo di legno: il palo d’arrivo in cima alla dirittura del Derby di Epsom. Se basi i tuoi criteri su qualsiasi altra cosa, otterrai qualcos'altro, non il Purosangue. " L'affermazione non porta un attento esame e non sarebbe mai stata garantita la credibilità se non fosse stata fatta da un allevatore così eminente. A Tesio piaceva sempre usare i vincitori di Derby sulle sue fattrici, ma raramente contribuivano in modo determinante al successo del suo programma di allevamento. Per certi versi sembrava un eccentrico, il suo acuto patrocinio di Airborne era un chiaro esempio. A volte gli allevatori convenzionali sapevano meglio. La seconda guerra mondiale limitò l'accesso di Tesio a molti stalloni importanti e lo costrinse a usare alcuni dei suoi cavalli, cosa che in genere non avrebbe fatto. Ma uno di loro, Bellini - il suo 15 ° vincitore del Derby - è stato il responsabile di Tenerani, un vincitore Triple Crown in casa che ha fatto visita in Inghilterra per le vittorie nel 1948 nelle Queen Elizabeth Stakes e Goodwood Cup. Tenerani non dipingeva olio, ma era un potente galoppatore che eccelleva su lunghe distanze. Rimase a Dormello per tre stagioni, ma Tesio lo mandò poi in affitto al National Stud dell'Inghilterra, e quando quell'operazione offrì 20.000 sterline per comprarlo definitivamente un accordo fu rapidamente concluso. Tenerani era troppo semplice e troppo convinto per impressionare Tesio come un probabile padre maggiore, quindi non lo avrebbe usato in nessuna delle sue più illustri cavalle. Ma gli mandò riuscita ad allenarsi, e quell'accoppiamento portò a Ribot, che sarebbe diventato il capolavoro di Tesio. La valutazione di Tesio sulle prospettive di stallone di Tenerani si è rivelata accurata; i suoi inning come padre produssero solo un risultato consequenziale. Ma quella stella solitaria è stata Ribot, la cui carriera di tre stagioni ha prodotto 16 vittorie da altrettante partenze, tra cui King George VI e Queen Elizabeth Stakes e due edizioni del Prix de l'Arc de Triomphe. Le iscrizioni per i classici italiani dovevano essere fatte nella fase di un anno, quando Ribot sembrava piccolo e insignificante, quindi Tesio scelse di non nominarlo. Il maestro avrebbe visto altre promesse nel puledro nei suoi primi allenamenti a due anni, ma è morto, all'età di 85 anni, quando il debutto di Ribot era ancora due mesi nel futuro. 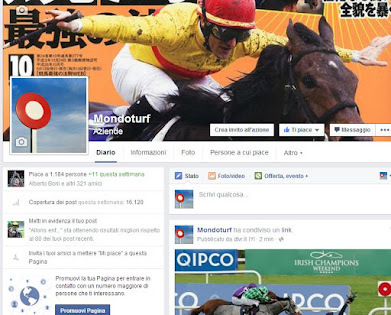 I classici perduti dell'Italia non avevano importanza per Ribot, la cui fama altissima era apparsa sulle sue esposizioni di Ascot e Longchamp, il secondo Arco, nel 1956, che impressionava molti osservatori come una delle esibizioni del secolo. Evidentemente Tesio andò alla tomba credendo ancora che il pronipote di Ribot Cavaliere d'Arpino - anche lui imbattuto, ma tristemente infelice - fosse stato il miglior cavallo che avesse allevato. Avrebbe sicuramente cambiato idea, se fosse vissuto per vedere Ribot in pompa magna a Longchamp. E se la forma passata era qualcosa da seguire, avrebbe riconosciuto una linea che aveva raggiunto il picco e quindi non aveva più alcun interesse per lui. Ribot divenne un padre importante su entrambe le sponde dell'Atlantico e prese la guida della lista anglo / irlandese in tre occasioni. La sua linea maschile si è sbiadita da quando il suo pronipote Alleged lo ha emulato con un paio di vittorie dell'Arc alla fine degli anni '70, ma rimane un fattore in molti pedigree senza presentare il grado stabilito dall'onnipresente Nearco. Tesio scrisse libri sul suo mezzo secolo come allevatore e numerose pubblicazioni hanno trattato in profondità le sue straordinarie conquiste, ma non è facile spiegare i segreti del suo successo al di là dell'osservazione che era estremamente dotato in ogni aspetto del arte. L'allevatore del brigadiere Gerard, John Hislop, ha chiarito le cose: "Quando quelli della mia generazione vengono chiesti dai loro nipoti 'Chi era il più grande allevatore, il padre eccezionale, il miglior cavallo da corsa del tuo tempo?' La risposta sarà probabilmente 'Tesio' , Nearco, Ribot. '"